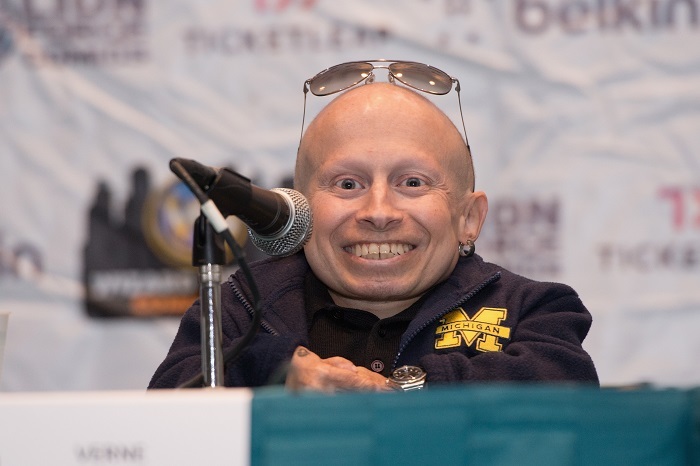 Verne Troyer, the actor who is best known for acting in the Austin Powers movie series has passed away at the age of 49. The sad announcement on his demise was released in his official Instagram page that gave also gave fans a look into his life. R.I.P. 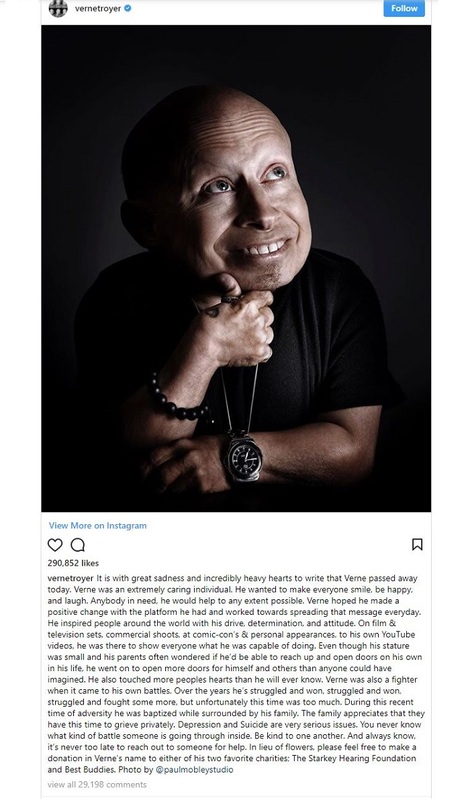 A sad notice on his Instagram page on Saturday broke the news that Vern Troyer died at the young age of 49. 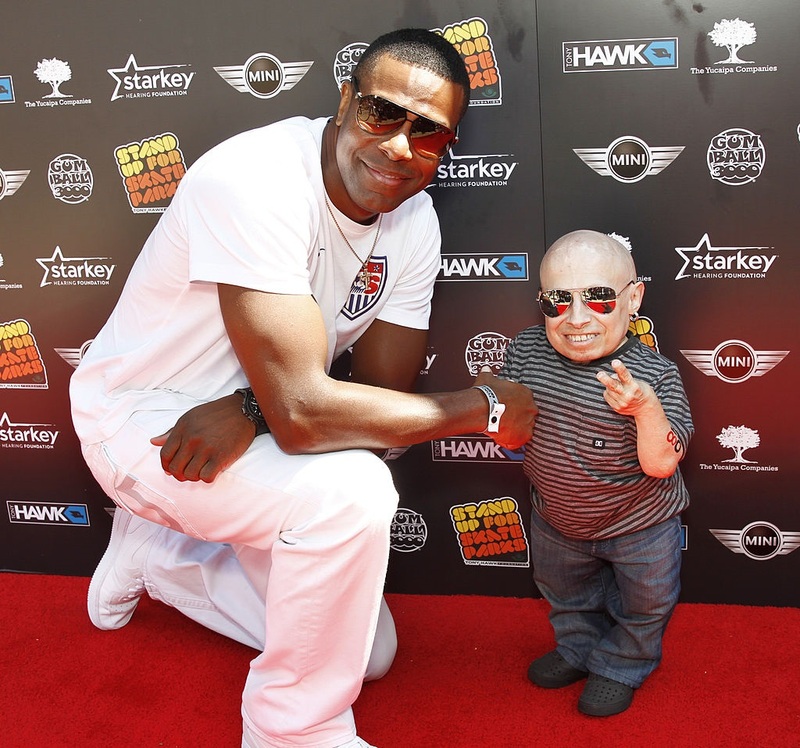 The actor, who was best known for playing the character of Mini-Me in the Austin Powers movie series had been rumored to struggle with alcoholism, but the official cause of his death is yet to be determined. The sad post, that reads "Verne was an extremely caring individual. He wanted to make everyone smile, be happy, and laugh", was a send off from the actor who was an extremely caring person according to those closest to him. The post also hinted at personal battles Troyer was going through and stated that "Depression and Suicide are very serious issues. You never know what kind of battle someone is going through inside. Be kind to one another. And always know, it’s never too late to reach out to someone for help.". It does not state whether Verne died of suicide, but hopefully he was surrounded by the people he loved and that loved him in his final moments. R.I.P.